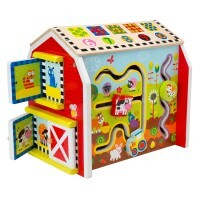 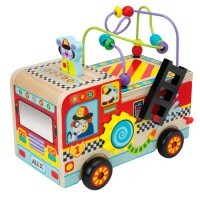 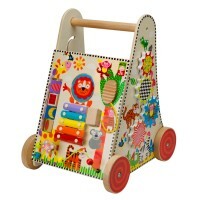 Your toddler will never be bored with this fun of manipulative and musical fun activity center by Alex. 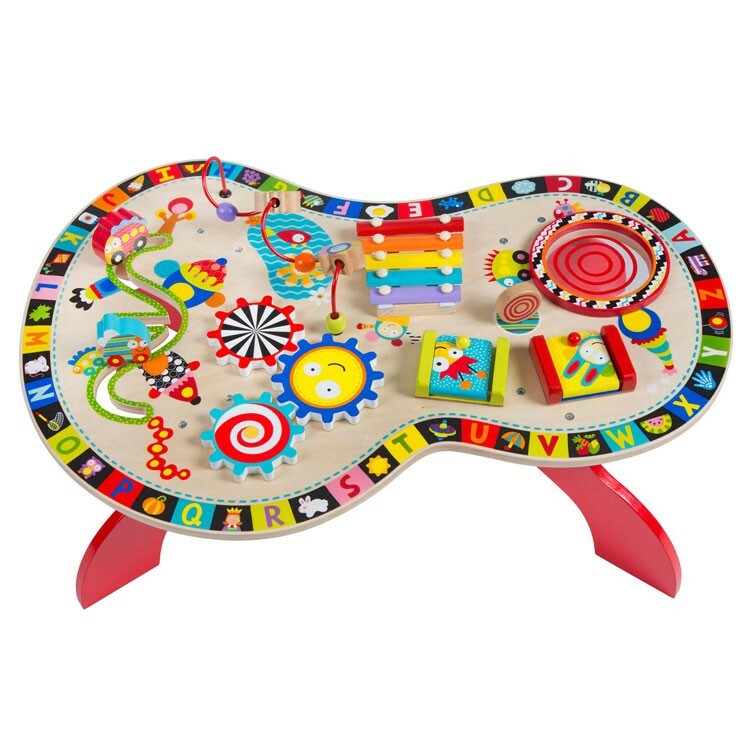 Let's play, pound, and make some music! 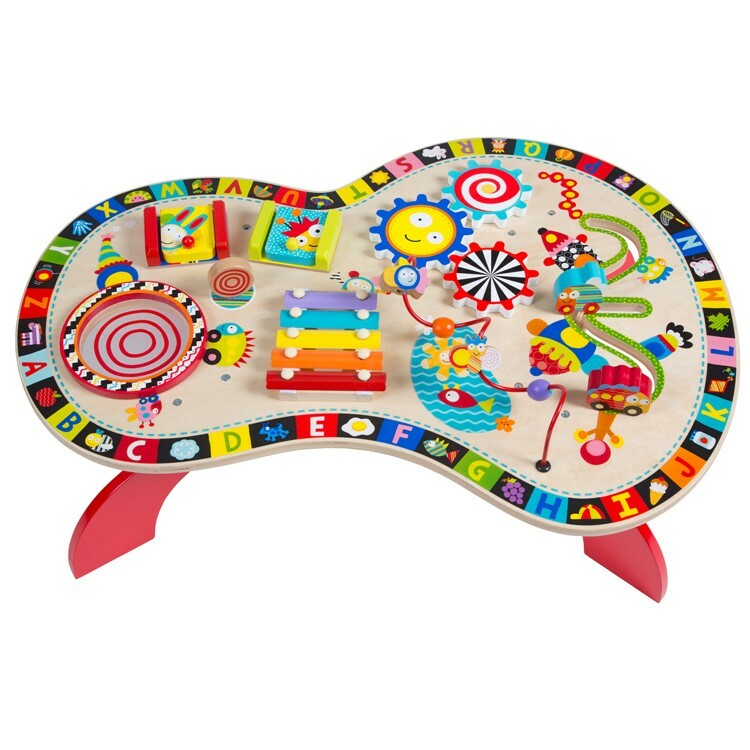 Sound & Play Busy Table Musical Activity Center by Alex Toys features a colorful manipulative activity table that has built-in musical instruments and motor skills stations to keep the little hands and growing minds busy. 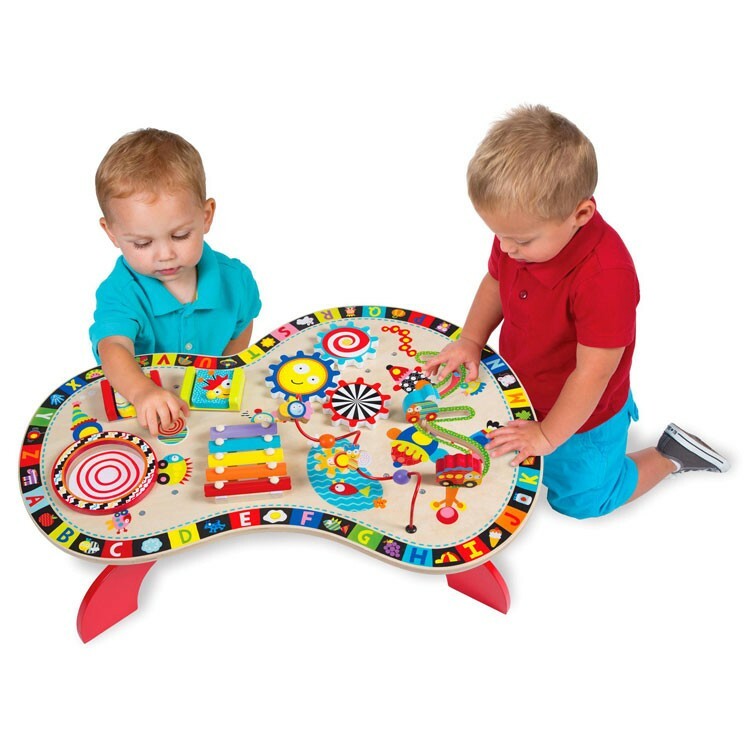 Boys and girls will love to pound, slide, peek, make music, and make playful discoveries with this toddler activity center from Educational Toys Planet. 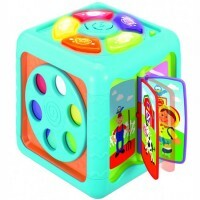 Sound & Play Busy Table Musical Activity Center features 8 developmental activities including first xylophone, drum, peek-a-boo doors, spinning gears, curvy bead maze, 2 track sliders, and a wooden mallet. 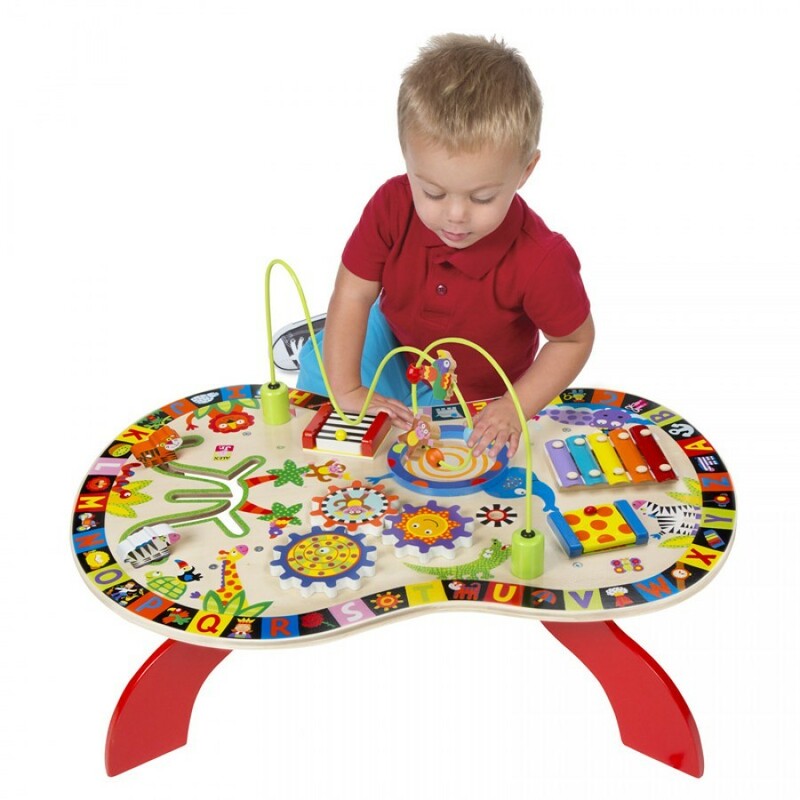 Bright colors, modern look, quality craftsmanship, and fun play features make this activity table a great educational addition to your home or school toy collection. 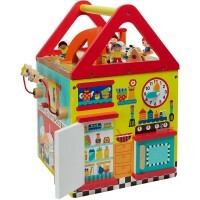 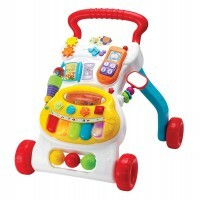 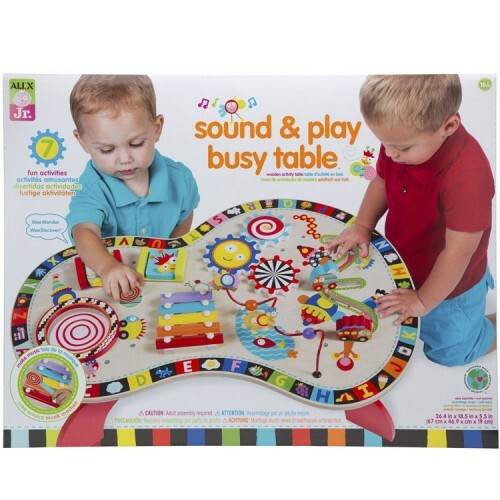 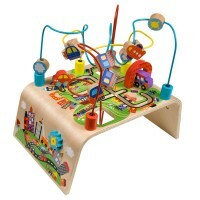 Sound & Play Busy Table Musical Activity Center requires easy adult assembly. 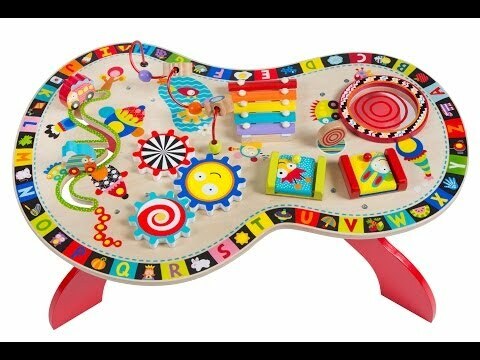 Assembled musical table measures 26.4 x 18.5 x 7.5 inches. 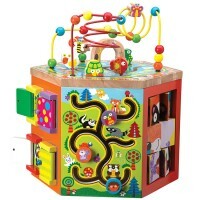 Dimensions of package 4.75" x 19.69" x 27.56"
Write your own review of Sound & Play Busy Table Musical Activity Center.